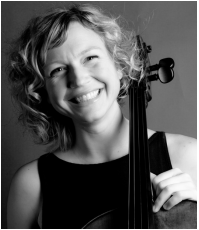 ​I am a professional cellist and teacher in Atlanta, but I am not your typical musician. When people think of a classical music concert, they think stuffy. Lots of rules about when not to clap. Lots of evil-eyeing from older people who know the ropes of the art music scene. I want to break down that invisible wall between performers and audience. Why must we be enclosed in a hermetically sealed box on stage, not daring to engage or even look at the human beings we are playing for? The response I hear most is that we must do this out of respect for the music. For me, music is communication. It is written by a person. For people. We are actually doing it a disservice to put it on a pedestal. Call me crazy, but I like to talk to the audience during my performances to fill in the behind-the-scenes information on the composers and history. I like to show the dance steps of a sarabande before I play it so that the listeners know why certain beats of the music are emphasized. When I start to play, no matter what genre or venue, I can’t help but let the music move me. I hope it moves you too! Let's talk about performance anxiety! ​This is an important aspect of all of our lives that seems to be a taboo topic in the music world. No one seems to be able to admit that it is a powerful factor that can cause even the best musicians to give up music altogether. There is a lot you can do yourself to help alleviate or even harness the symptoms of performance stress. Why did I choose cello? In my studio, empowerment is the goal. 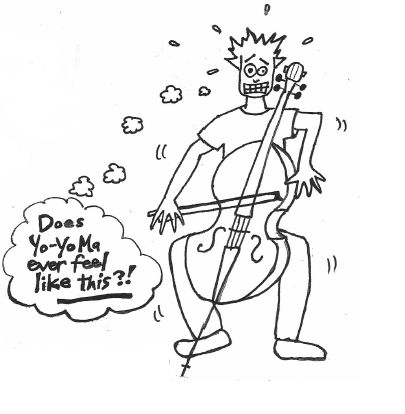 I like to deal with specific issues in music which seem taboo (for instance, dealing with performance anxiety) or topics that I wish I had learned about sooner in my cello life (how to tune by ear). No time to read a blog? Check out my new studio, Room 4 Cello!